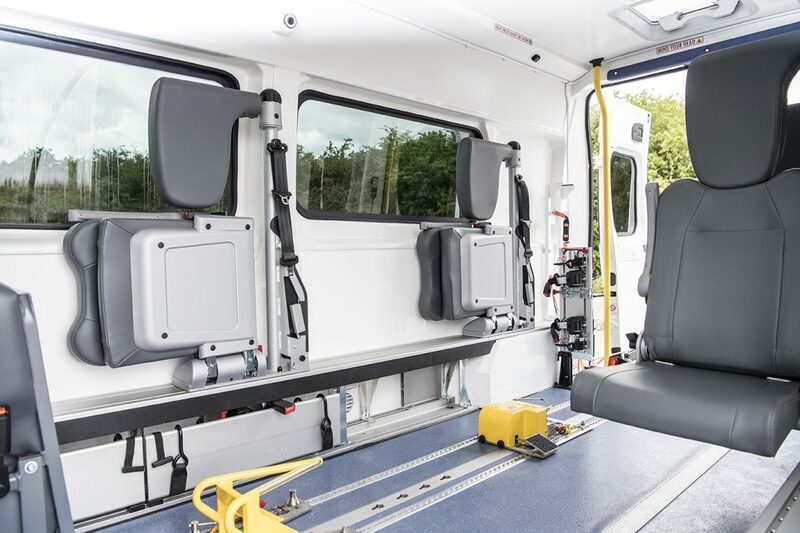 A new way of carrying passengers available exclusively from Cartwright is revolutionising patient transport in the UK. 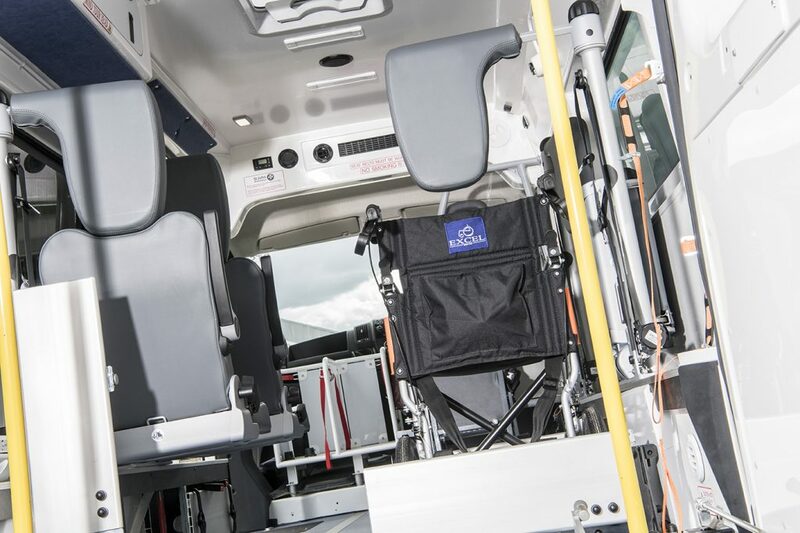 The RolliBox seating system for PTS vehicles has space for a stretcher, multiple wheelchairs and seated passengers. 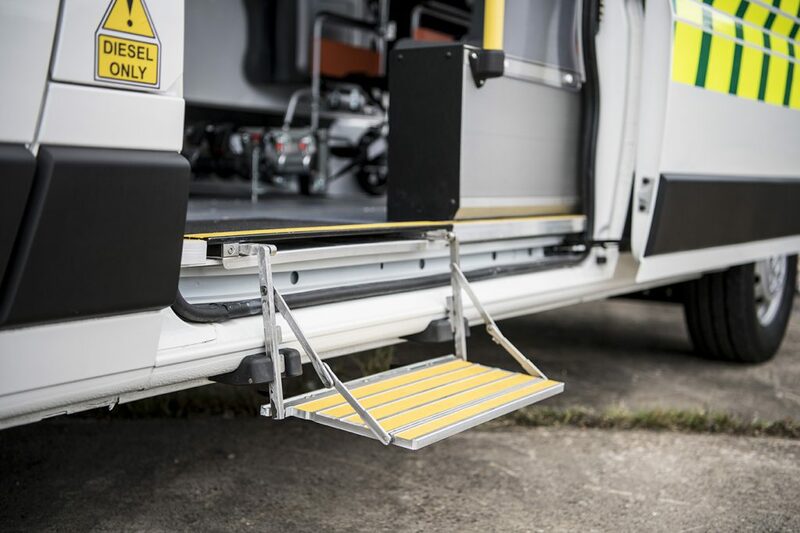 Its layout can be simply and quickly changed on the move without the need to take out seats and find a place to store them – and all without a toolkit. 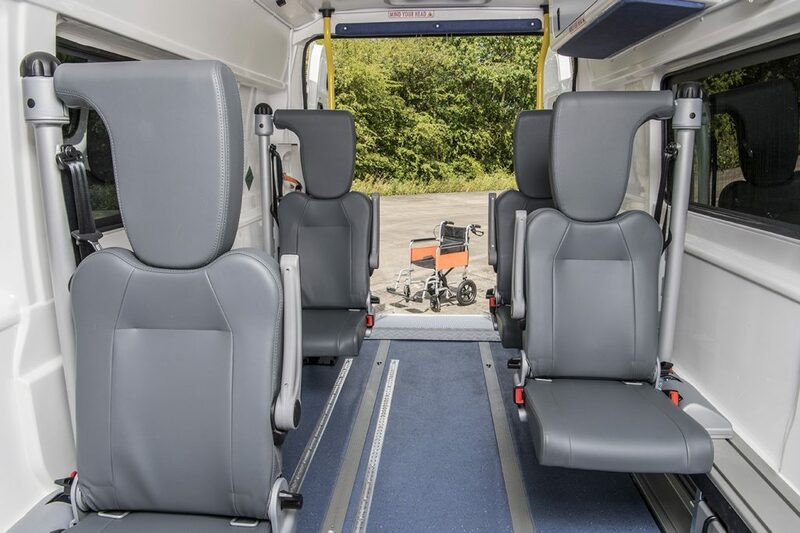 Travelling seats can be neatly folded away and replaced with cleverly hidden wheelchair restraints that fold out from behind floor-level side panels. 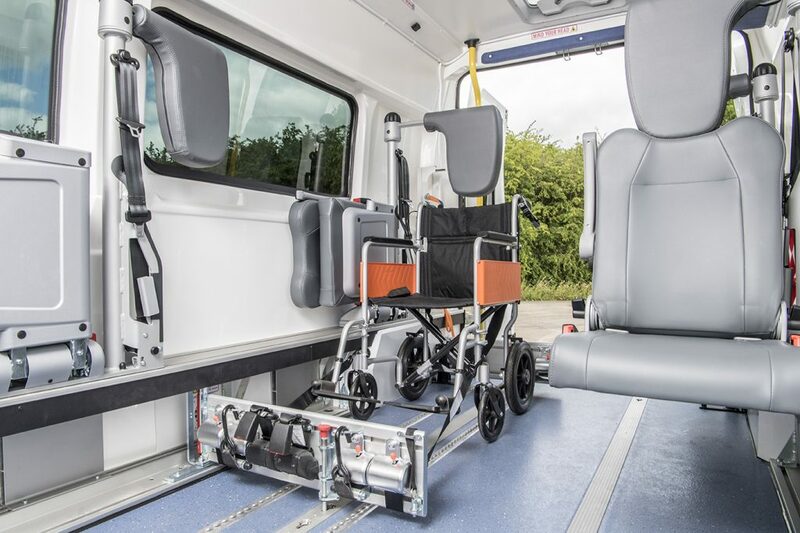 Each wheelchair position has its own head rest and three-point seat belt making this one of the safest systems on the market. 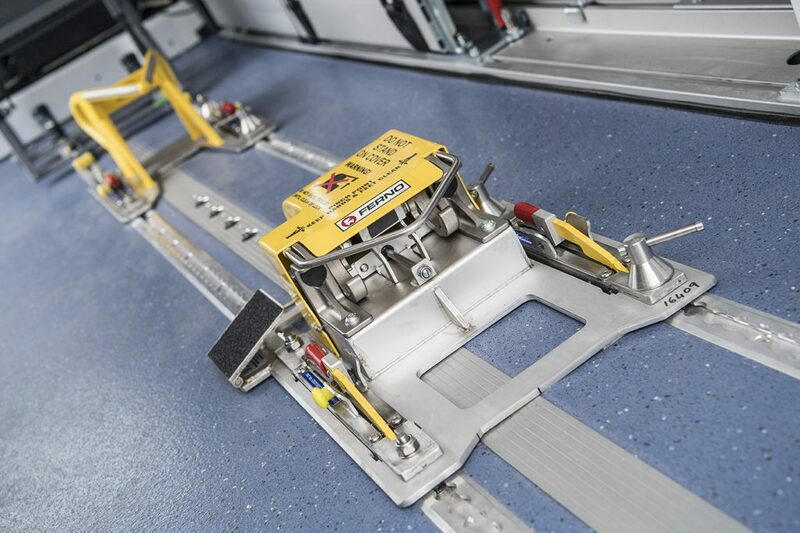 All of our PTS vehicles have easy-clean surfaces and our standard model is fitted with a range of accessories for the safety and comfort of crew and patients. 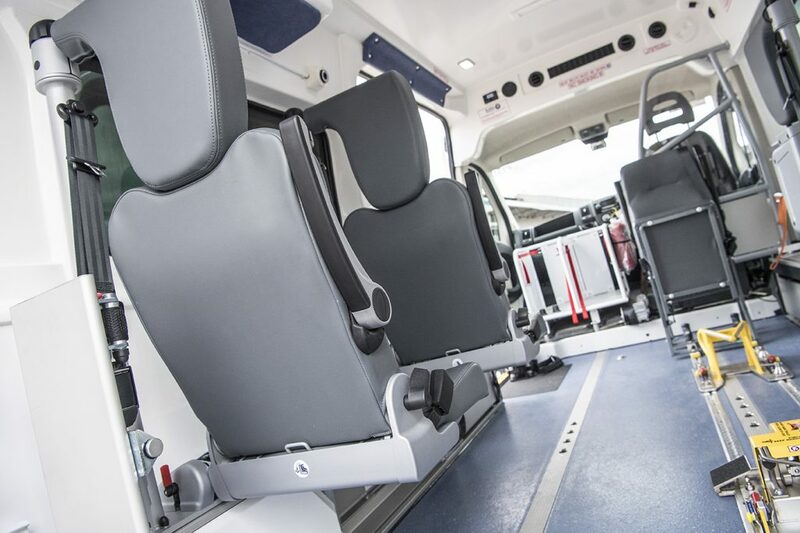 You can choose to tailor Cartwright’s standard model by working with us to find a solution that meets your individual requirements.